Official launch of “Towards Zero Waste Cashel” takes place at the Rock of Cashel today Thursday March 2, 2017. 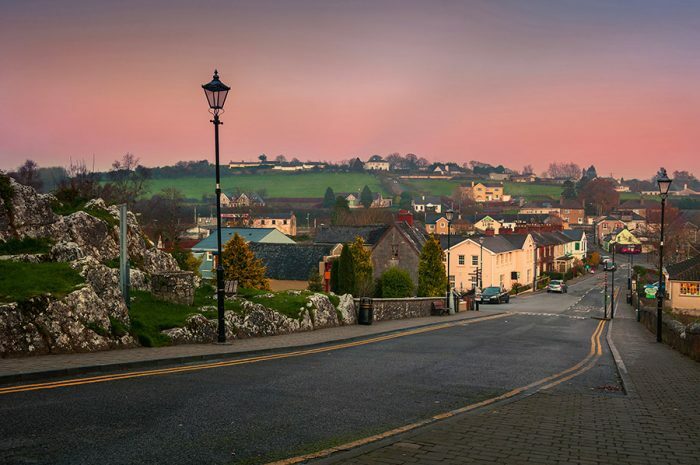 The heritage town of Cashel in County Tipperary is moving towards a cleaner, greener future as it begins the process to become Ireland’s first Zero Waste town. “Towards Zero Waste Cashel” is an 18-month pilot initiative which promotes reducing waste and repairing and repurposing items, and was officially launched today (Thursday) at the historic Rock of Cashel. Led by environmental charity VOICE, funded by the Environmental Protection Agency (EPA) and supported by the Southern Region Waste Management Office and Tipperary County Council, this pioneering new project aims to take a typical Irish town on a journey of change. “The success of the project will depend on a lot of changes – changes in every day practices, behaviours and indeed attitudes towards waste,” explained Pauline McDonogh, Waste Prevention Officer with the SRWMO. “Towards Zero Waste Cashel” will include the introduction of a number of local projects that will encourage a change in behaviour when it comes to dealing with waste. Newly appointed Towards Zero Waste Cashel Project Manager, Derry O’Donnell, said he was excited about the challenges and opportunities ahead. “There are many unique enterprise opportunities in a Zero Waste environment. We have seen how people can create unique pieces of furniture and other items when they begin to look at objects destined for landfill in a new light. There is so much that can be done with waste when we start exploring new ideas,” said Mr O’Donnell. “This Zero Waste initiative is also about changing peoples habits and attitudes and that could be our biggest challenge. For example changing our views on single use non recyclable containers, such as our take away coffee cup or the plastic spoon we use just once to stir our tea,” added Mindy O’Brien, Coordinator, VOICE.